Search engines and Web publishers are bleeding billions of dollars in lost ad revenue from ad blocking, the act of installing browser tools that identify and remove advertisements. In fact, Google lost $6.6 billion last year due to ad blocking, according to one estimate. Lost revenue should send a signal to brands, wrote Doc Searls, president at The Searls Group, in a comment to an article published in Search Marketing Daily. He believes it's the price advertisers and their agencies pay for not getting the message that ad serving and tracking technologies are not okay with the marketplace. The "messages coming from the marketplace could hardly be more clear — or less deserving of blame by those not listening," he wrote. They say "'stop tracking us,' 'quit slowing page loads to a crawl,' 'quit creeping us out with unwanted personalization,' 'quit abusing our privacy' and other useful input." Ed Papazian, president of Media Dynamics suggests the industry either needs to instill strict rules about how much ad clutter to allow per page, how ads are displayed, what constitutes visibility, realistically, and stop enabling ad avoidance, or he fears the growth in ad dollars -- especially from branding TV advertisers -- will slow dramatically. "Already, upwards of 30% of the most desirable consumers use ad blockers and cannot be reached by a branding advertiser, no matter how many Web sites or GRPs are used -- nothing like this put offish situation exists in any of the 'legacy media,'" Papazian wrote. Across Google's display and video ads, businesses ad blockers can seamlessly block YouTube ads and ads on network members' Web sites using AdSense or DoubleClick. Its ads in search are also blocked by AdBlock Plus users who have not opted to view "white listed ads," which Google pays to circumvent software from companies like Adblock, explains Johnny Ryan, head of ecosystem at PageFair, a Dublin, Ireland, startup that measures blocked ads. Ryan explains it this way: Google's traffic is likely to match the average ad-blocking rate in each market. The U.S.
ad-blocking rate is about 16% according to PageFair data. Being white-listed is effective against 48% of Adblock users in PageFair's experience. So the effective ad-blocking rate on Google.com is about 8%. Google U.S. revenue were $17 billion in 2014. Globally, ad-block rates vary, and are higher in Europe. Most of Google's revenue is also non-US. Google search revenue estimates per region would provide a solid global estimate. Although Ryan said PageFair doesn't have data that definitively shows the growth in ad blocking due to malvertising, the company does know that related factors -- such as seeing inappropriate advertising, suffering from installations of ransom ware, and a general and well-founded unease about where one's data -- are drivers of ad blocking. "When I was at The Irish Times, a newspaper where I was chief innovation officer, there was much hype about RTB," Ryan said. "Malvertising, it seems, is one of the downsides, when even premium sites leave their ads slots unregulated to the point that malvertising can feature, it is unlikely that blockers will change their behavior." 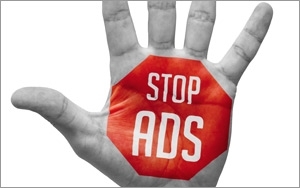 6 comments about "Online Ad Industry Needs To Wake Up And Deal With Ad Blocking". Steve Baldwin from Didit, August 20, 2015 at 3:09 p.m. Advertisers have gotten too pushy and users are pushing back -- hard. I don't see the ad industry changing its behavior in time to stop this runaway train. Self-regulation? Too little, too late. Douglas Ferguson from College of Charleston, August 20, 2015 at 3:48 p.m. It's delusional to believe people want content that they did not specifically request. Ed Papazian from Media Dynamics Inc, August 20, 2015 at 4:31 p.m. It is believable, Douglas. People often don't know exactly what they want or need. Often, they sample something they might find interesting and discover that they like ---or dislike----it. This tends to be especially true of younger folk---those precious "millennials". That's why they are such fickle TV show viewers---always looking for something else that might be better or more in sync with the latest vogue. A.K. Ahuja from CRESCENDO, August 21, 2015 at 12:47 p.m.
Definitely agree with you Ed. The other challenge is that many content/service providers that publish ads also promote ad-free services for a small premium. Take Pandora for example...it's a great platform to target your relevant audience, but for less than $5/month they can get ad-free listening. For these so-called precious "millenials" who are consistently on their phones and have headphones plugged in, that's not a large price to pay to get uninterrupted music.. It's great for Pandora, as they're getting ad revenue on one side and premium subsciber revenue on the other. Unfortunately, brands/agencies feel the pain with higher costs for ad placement and a potentially diminishing listener base..
John Wells from Self, August 22, 2015 at 9:42 a.m.
Love the faxt that obnoxious ad agencies and their clients are losing the war. Every time I see an agency lose an account I applaud their ineptness. I love skipping any and all ads every chance I get. Ad agencies are human wreckage. Domenico Tassone from Viewthrough Measurement Consortium, August 25, 2015 at 12:02 p.m.
Wow...surprised so many MediaPost commenters want a free lunch and have an entitlement attitude. Publishers should run the analysis and consider blocking free riders (thieves) that they can't afford to subsidize.